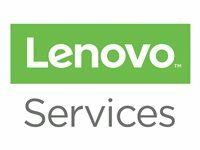 Warranty upgrade for 1 year Depot base warranty models.Lenovo offers a comprehensive portfolio of value-added services that support the full lifecycle of your Lenovo assets from procurement to disposition. Onsite service is next business day, 9AM to 5 PM and is based on when call is received by the Lenovo support agent. Lenovo recommends Onsite service for higher level of service and more immediate assistance. A Lenovo certified technician will be dispatched to your place of business/residence in such cases where the problem cannot be solved over the phone.Securing business data is essential to any organization's success. Data needs to be kept confidential, protected and compliant with corporate retention policies. If a drive fails while covered under warranty, Lenovo's Keep Your Drive Service (KYD) allows you to keep your drive, improving data security and potentially alleviating civil liability risks for organizations handling sensitive information. Under the terms of the Lenovo Limited Warranty, when Lenovo replaces a defective part, that part becomes the property of Lenovo. If a customer's drive fails and it is still under warranty, KYD lets them keep their old drive and hold onto their data.